Passing the GED exams can open opportunities for a person who has not completed his high school education. A GED credential, after all, is accepted by most companies in lieu of a high school diploma. And if a GED passer chooses to continue his education in college, his GED credentials are also accepted by most colleges, universities, and institutions in the country. To get his GED credential, however, one of the subjects a GED test-taker has to pass is the GED Science test. The test covers physical science, life science and earth and space science. A person would need a score of 145 in his science test to pass the GED test. The place where you study for the test could mean the difference between passing and failing. Look for a place that is free from distractions like a library or a study center. You can study in your room as long as you tell your housemates not to distract you during your study schedule. Turn off the electronics and put them as far from you as possible because they can distract you from your tasks – smartphone, TV, radio, laptop, and other gadgets. You can use an MP3 player to play songs if that can help you study better. Also, make sure that the place you are studying in is clean and organized to help you calm down and focus. 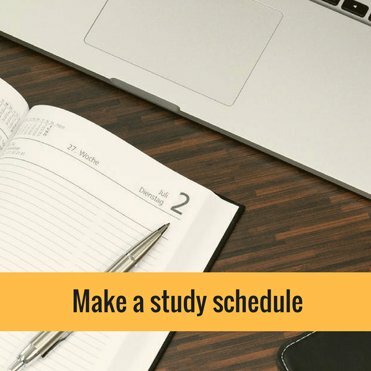 Set a study schedule and stick to it. The brain learns faster if you feed it with information at the same time every day. Make sure to tell everyone not to bother you during your study time. Schedule your study at the same hour as your test will be. For example, if your test is at 7 am to 2 pm, schedule your study time at the same hours so that you condition your brain to be active during those hours during the exam. Don’t forget to take breaks, too. Studying without taking breaks can cause a brain burn out and all you have studied that day will be wasted because you would forget them. A good rule is to take 15-minute breaks for every 1 hour of studying. Science is a branch of knowledge that is anchored in facts and concepts, but memorizing these would not be enough. 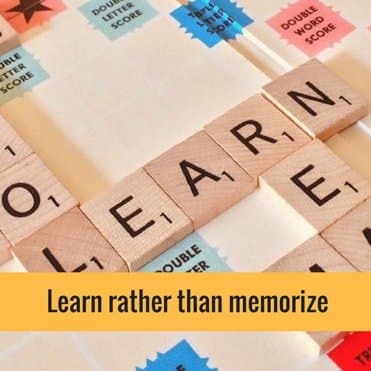 Memorization is not learning. When you memorize the water cycle without understanding the underlying reasons for its existence, for example, you are simply storing a series of words in your brain. The bad thing is that what you have memorized is often stored in the short-term memory of your brain. That means it is easy to forget it what you have memorized. On the other hand, if you understand why the water becomes vapor (because of sun’s heat) and rises up (because warm gases are lighter than cold gases) and becomes a part of the cloud through condensation (because the cold temperature up there turns the water vapor into liquid water and ice crystals) and finally becomes rain (because they get too heavy), it would make it easy for you to remember. Understand instead of memorizing. A visual way of learning that is available through GED online lessons will help you get a better understanding of concepts. Scientists are curious people. They try to find the hidden reasons for the natural goings on in the observable universe. 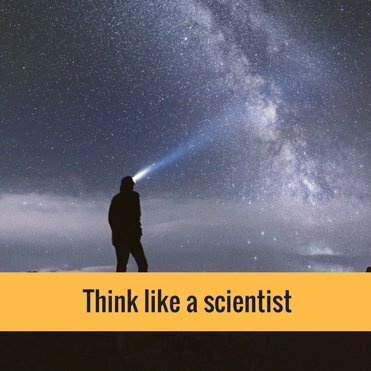 If you want to be successful in your science test, you should incorporate the traits of scientists. Try digging up the cause of information you encounter. For example, if you just found out that Mars is called the red planet, try to find out the reason for its reddish tint. Go on try it, you would be surprised. A natural curiosity for the subject will again help you understand science concepts more easily. When studying for science tests, you cannot avoid meeting formulas. Most people try to memorize them, but memorizing is not enough. The best way to retain even the most intimidating formulas in physics is by trying to solve them. 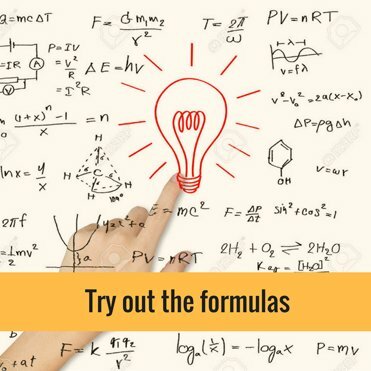 Not only will you understand the formula better, you have also familiarized yourself with it so it is easier to recall. Take GED practice tests that check your science knowledge and skills. Humans remember specific information best if it is attached to interesting facts. Using this in your study strategy is a good idea, especially if you do have to memorize some information. Like for instance if you want to memorize the planets in the solar system, you may google interesting facts about each planet. You may be amazed to learn that Jupiter has a hurricane on its surface that’s been going on for thousands of years or that a day on Venus is equal to a year on Earth. How about that Jupiter and other big planets are made almost entirely of gas and almost no solid core? Let us not forget that the former planet Pluto has a huge heart-shaped landmass facing the earth. Now that should make you remember the planets easier. Don’t get intimidated by the GED Science test. Science may seem difficult to study, but with the right tools and strategy, you can conquer it.